pc*one*world has no other items for sale. Important qualities for a modern processor are speed and multitasking ability. 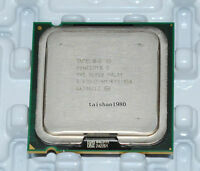 The Intel Pentium D 945 has both. It provides a clock speed of 3.4 GHz and two cores to ensure more paths for multitasking. Push the speeds even higher by overclocking the CPU. With this chip, you get more done, faster, and at higher benchmarks. This is thanks to the improved specs and the dual-core design. That means you complete demanding tasks on your hardware while virus scans or downloads are running in the background. 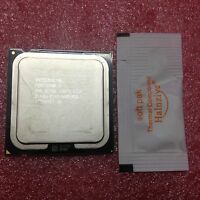 The processor dynamically assigns different tasks to each core.Once you install this Pentium part number bx80553945 processor in your desktop, you may notice an immediate increase in boot time. Your programs should open, run, and close more quickly. This is due to the extra multitasking features built into the Pentium D 945 3.4 GHz chip. 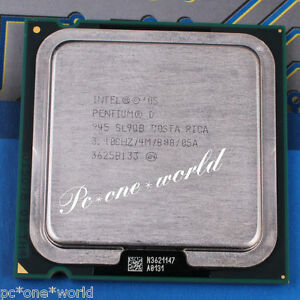 This Intel microprocessor provides a solid upgrade option. The duo Intel core type provides smooth function and better graphics for your home computer or work PC. 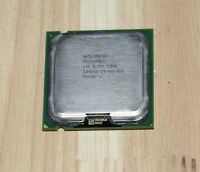 The CPU supports a PLGA775 socket, so check your current motherboard to ensure compatibility.The Pentium D 945 is a part of the Intel Pentium "Presler" series. 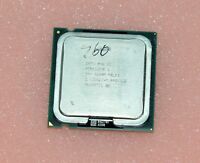 This was one of Intel's first desktop dual-core Pentium processors to feature a smaller 65nm process. This shrank the size and increased the complexity of the chip. 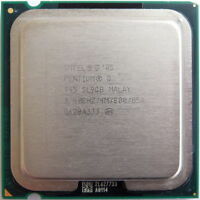 The Intel Pentium D 945 uses an 800 MHz front-side bus. This FSB transfers data within the processor at higher speeds. It has 4MB of L2 cache memory as well as 32KB of L1 cache. 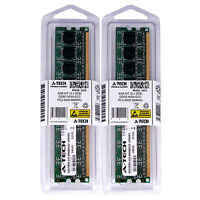 The cache is an important memory pool that stores the most frequently accessed data from the main system's RAM. This enables you to access important data quickly for better results and higher bandwidths. In addition, the Intel 64 architecture delivers 64-bit computing on your device. This improves the efficiency and performance of compatible 64-bit software, so you get more work done at once.The Intel Pentium D 945 3.4 GHz chip features energy-efficient specifications. With the Enhanced Intel SpeedStep technology, the CPU dynamically adjusts voltage and frequency in response to software demands. That enables better performance and lower power consumption. Moreover, the Intel Idle States technology tries to conserve power when the system is idle. The processor has a thermal design power of 95 watts. This is the amount of power the device dissipates when operating at its base frequency with all cores active. This ensures that the case temperature of the CPU stays within the normal operating limits. 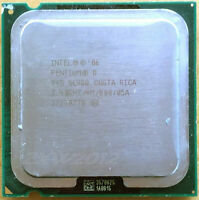 Typical limits are 63 degrees Celsius, or 146 degrees Fahrenheit.The Intel Pentium D 945 3.4 GHz chip also has enhanced security features to protect your computer from infections. 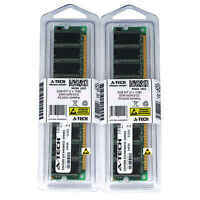 These CPUs come with the Intel Execute Disable Bit technology. The system automatically disables any virus or program that tries to insert malicious codes into the data buffer. It essentially cordons off part of the memory from executing code. This ensures that viruses do not spread through your device or network, instead staying contained. Easy Install with great operation! Received the used part in protective packaging, was easy install, updated drivers installed on start-up and unit runs extremely well. I believe it will run as long a new part and as reliably. I have been using "used parts" to build new computers for over 25 years and know if they have been taken care of they will last a long time. This one was well taken care of and tests to specifications. its a lot faster and easy to install but it kept my fans running at full speed all the time ,was way too noisy for me other than that it was great very reasonable in price overall i'm happy with it. We were building a system to replace a single core 3.2ghz system. 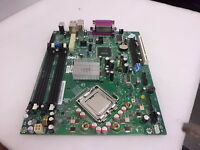 We have had good success with the Pentium D series. We have another system that is a 3.4ghz Pentium D, a gamer, which works great. They at this point the Pentium D's are cheap and they get the job done. The core 2 duo processors are faster though, even when the ghz rating shows it is lower number.Yes its true, they process faster even with a lower ghz rating. But this processor is worth the money. Good stuff to keep an older box going! Private school I help has a bunch of old OptiPlex GX620 desktops, with old Pentium 4 CPU, which is capable of Windows 7 ( slowly ) just not Windows 10 ( missing a couple key Instruction Sets ). Did some research, found that these Pentium D will work with the default aluminum heatsink from these units ( 95W CPU ), and runs Windows 10 very nicely, once we upgraded the RAM as well. Good stuff! Runs a bit hotter than the original Pentium 4, which was expected, but nothing out of the ordinary and no heat related issues either.